On 14th May 1536, Henry VIII sent Sir Nicholas Carew to fetch Jane Seymour and to install her in a house in Chelsea, within a mile of the King’s own lodgings. Eustace Chapuys, the imperial ambassador, wrote to his master Charles V, that Jane was “most richly dressed” and “splendidly served by the King’s cook and other officers”. Her sumptuous dress, her proximity to the King and the way she was being served by the King’s own servants, suggest that Jane was being treated like the Queen of England and thus that Henry VIII knew that this position would need filling soon. A Queen in waiting. 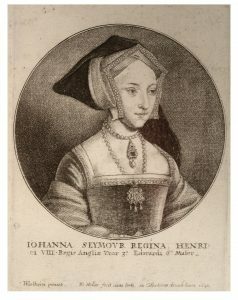 Although Anne Boleyn was unpopular in certain circles, her imprisonment and the King’s behaviour with Jane Seymour were causing gossip and disapproval. Pamphlets were being published and circulated deriding Henry VIII’s relationship with Jane. It was shocking behaviour. His wife and Queen was in the Tower of London, charged with adultery, and he was carrying on a relationship with one of her ladies-in-waiting! Also on this day in 1536, Master Secretary Cromwell wrote to Stephen Gardiner and John Wallop, the King’s ambassadors in France, to inform them of recent events, explaining that “the Queen’s incontinent living was so rank and common that the ladies of her privy chamber could not conceal it”. So “abominable” were her offences, according to Cromwell, that he could not bring himself to go into detail, but he could assure them that they would both benefit from the fall of Anne Boleyn and the men. Note: In his letter to Wallop and Gardiner, Cromwell describes the coup against Anne and the men as “the King’s proceeding” rather than his investigation or plot. I know that historians differ on the type of character that Jane had. She is either depicted as Sweet, Demure, and a pawn for the Catholics/AntiBoleyn Faction. However, with all the events going on I find it hard to believe that she was an innocent pawn. With how ambitious her brothers were it is hard to believe that she did not also have that same fire within her. I believe that she appeared Meek and Modest because that was what the King wanted and Jane had her eyes on the prize of becoming Queen. I find it extremely hard to believe that an innocent pawn would not feel anything for the woman she was supplanting. Anne did supplant Katherine but Katherine was banished and deserted not murdered. I have no personal feelings against Jane. I just wish there was more information regarding her character. She seems just as ambitious as Anne but knew how to hide it better than Anne. This is what makes me dislike Jane Seymore so much–she knew her crown would be wrested from a dead woman’s head. I find her almost as guilty as Henry. Anne was not exactly kind to C of A, but I don’t believe it was ever her intent to steal Henry. To me, he kept pursuing her, what with his ‘stricken with the dart of love’ business until she had no choice but to agree to marry him. A very different scernario from Jane. The whole thing is really disgusting. She was clever there is nothing so sure as that,she copied what she had seen with Anne, but in a different guise. Did she have any choice, maybe, on one hand, she didn’t retract from Henry’s advances, and had made herself noticed with the help of her family, I suppose, but on the other, it would be hard and dangerous, to refuse when Henry decided it was her he wanted. It does seem callous that she was snatching the crown from the head of a condemned Queen who was still alive, but again it was Henry who was playing the tune to which all would dance, his blatent behaviour with Jane was his doing, and Jane may have just been following his lead, but did she care..that is the question. Personally by this stage I don’t think she did, the crown was a very tempting prize to be dangling before a person, and by now it was very close for the taking, in those times I would have doubted anyone would have had strength of character to refuse it if offered. Intentional or not, and I think there was intention on her behalf, she paid for it, as did the two before her, again in a different way, but all the same, fatally. I find it interesting that Jane is described as meek. Look at the rapacious behavior of her brothers. It seems hard to imagine that Jane would not have ANY of these characteristics. And what could she have been thinking when within a six month period of time she supplanted a queen. With Anne it was a six year (or so) dance… and she was never “backwards at being forwards” with her ultimate intentions. I think Jane knew exactly what she was doing, but was playing the part. I think that’s what bothers us Tudor fans and historians the most. We will never know exactly how Jane felt. I understand that a lot of Anne fans hold a grudge against Jane but is it fair? As Dawn said earlier did Jane really have a choice? Yes she may have been excited to be queen and copied Anne of supplanting her predecessor. 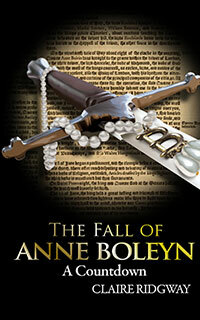 She was in her late twenties old for Tudor times, unmarried, and here is the King himself throwing himself at her. Or was she a tool of her family. Again as Dawn stated once the King was interested it wasn’t safe for a woman to stop his advances and back then she didn’t have much of a say. Once her family could see how Henry wanted Jane she was thrust into that spotlight. Her family could groom her and use her for their advances and being a woman of that time period she obeyed. We will never know for certain what Jane thought of not only supplanting a woman but being apart of a murder scheme. If she felt any kind of remorse it was wise that she did not say these things out loud. Or maybe she liked that she was supplanting Anne. Jane like COA was catholic and was set on restoring Mary. We will never know. It is frustrating not knowing what Jane thought but it appears that she was a pawn used by Carew, Bryan, her brothers and the Catholic conservatives. She probably had no choice in the matter. If the king of England wants you you can’t exactly say no. If she had he could have made her life a living hell. Made sure she had no other marriage prospects that she was scorned publicly ect. I think Henery wanted Jane and arranged a way to take her never considering what she might want. But on the other hand who doesn’t want to be queen? Even if she wasa pawn sshe had to know to some extent what was happening and what the end result would be. Obviously she wasn’t as innocent as she liked to play at.